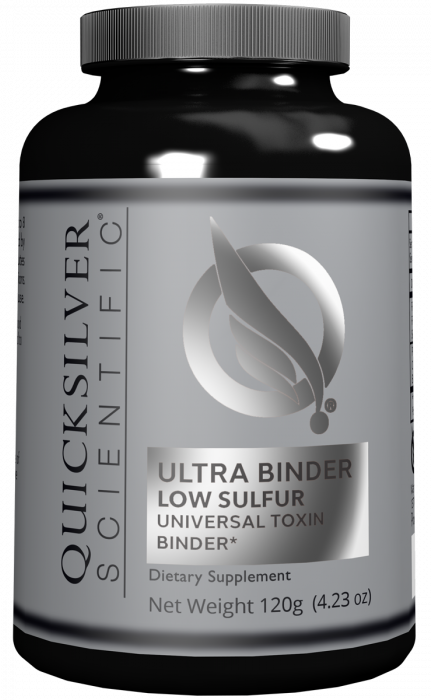 Quicksilver Scientific Ultra Binder Low Sulfur is just as the name describes – all the powerful, natural toxin binders that customers have come to know and love, with slight changes made to give the formula a low sulfur content and make it easier to digest for those with sensitive stomachs. Purchasing this product today earns you 60 DR Reward Points! Unlike the original Ultra Binder, this formula does not include IMD Pro Cleanse to lower sulfur content and help sensitive stomachs. 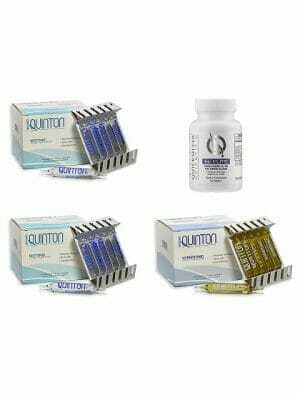 Designed to aid in the detoxification of bacteria, chemicals, heavy metals, and other potentially harmful materials which commonly enter the body. 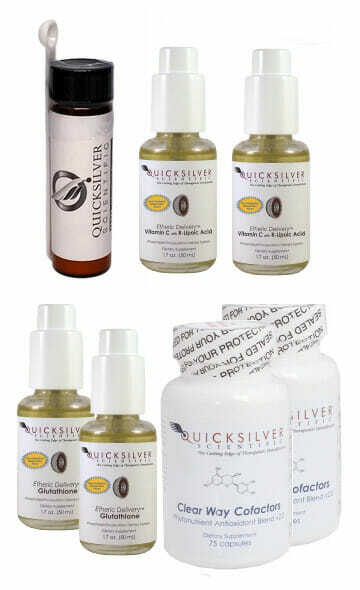 Features safe and natural toxin binders in the form of activated charcoal, bentonite clay, and zeolites. Contains fibrous materials like chitosan to ensure that waste removal is function properly. Charcoal which has been treated with high temperatures and infused with oxygen to make it more porous is often referred to as activated charcoal – one of the most popular natural ingredients for detox support. But just what is it that makes activated charcoal so effective? For one, it carries a negative electric charge which gives it the unique ability to bind with toxic materials, like chemicals and heavy metals, throughout the digestive tract. The additional porousness is helpful for actually trapping these harmful materials to be safely excreted from the body via the feces. The only common downside to activated charcoal supplementation is that it also absorbs some helpful minerals and electrolytes which can leave the body easily dehydrated, or otherwise malnourished, if left unattended to. To counter these potential negative effects, Ultra Binder Low Sulfur combines activated charcoal with bentonite clay – another powerful detoxifying agent which is known for helping to remineralize and hydrate the body! Not only does it help counteract potential dehydration, bentonite clay may be particularly supportive for bacterial cleansing, while activated charcoal tends to excel at toxin and heavy metal removal. These two ingredients balance each other out and form a very well-rounded counter to toxicity in the digestive tract. Chitosan is a fibrous material which can only be found in the shells of crustaceans. 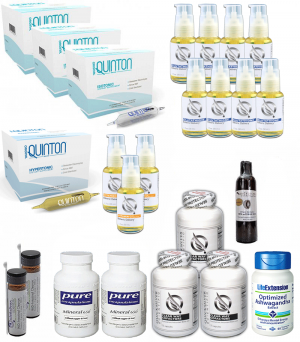 The primary function of chitosan in dietary supplements, along with the other fibrous ingredients contained in Ultra Binder Low Sulfur, is to support the excretion of heavy metals and toxins. Dietary fibers act as a binding agent for intestinal bile and are primarily intended to improve the solidity and efficiency of waste removal. As the toxin binding ingredients contained in Ultra Binder all rely on healthy excretion, fiber is the final piece of the puzzle to ensure that all of these natural detox ingredients are working in harmony. Fibregum™ Bio (gum Arabic), zeolite, sodium bentonite clay. Mix 1 teaspoon into 8 ounces of water once daily or as directed by healthcare professional. Take 30 minutes before 2 hours after meals or medications.